It prefers moist to wet organic rich soils. In drier soils it will not grow so large but still be an impressive plant when mature. 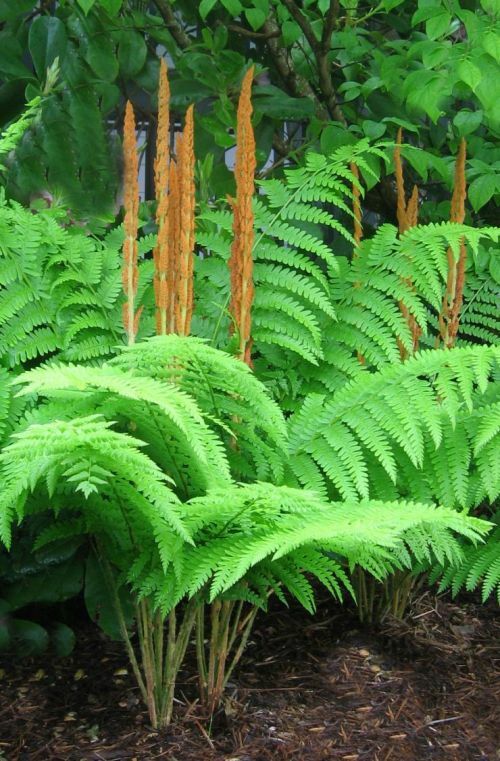 It has a lovely shuttlecock form when mature with large cinnamon brown 'flower' spikes, as seen in the picture of a mature fern. Recently assigned to a separate genus, Osmundastrum, O. cinnamomea is the only representative in this genus. This fern can be regarded as a living fossil, it has been around for at least 75,000,000 years, maybe longer.